At the 2012 Audi Annual Press Conference, Audi CEO Rupert Stadler confirmed that the German automaker will be manufacturing plug-in hybrid variants of their A3, A4, and Q7 models. “While we are planning small-scale series production for this car, which is a vital element in our innovation and technology plans, the electric driving experience will become a reality for a growing clientele with our plug-in hybrids,” Stadler said. The market launch for the A3 plug-in hybrid is set for 2014 while the next-generation A4 and Q7 will get plug-in hybrid variants starting in 2014 and in successive years. By 2020, Audi hopes to have an e-tron available in every segment to help achieve total sales in the six-figure range. 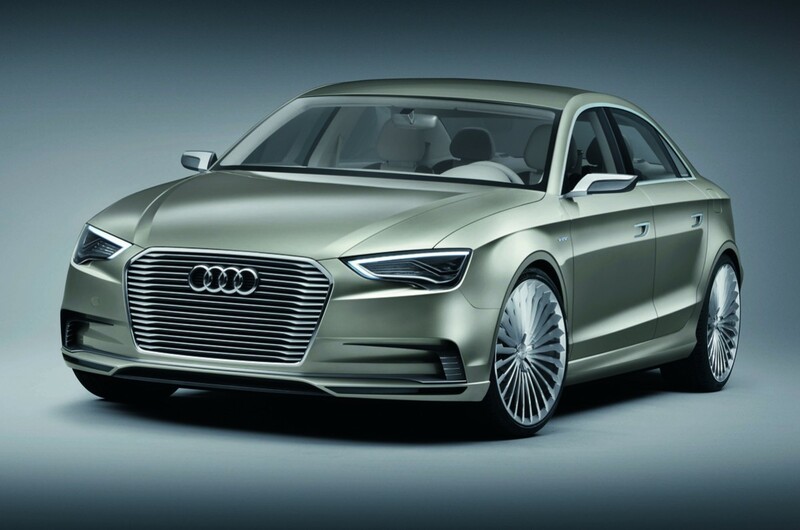 “Our pioneering vehicle in this field is the Audi A3, with the market launch of a plug-in version slated for 2014. This will be followed by the next-generation Audi A4 and Audi Q7 plug-in cars – starting in 2014 and in successive years. In 2020, we want to have an e-tron available in every segment and to achieve total sales in the six-figure range,” Stadler said. Stadler also addressed Audi’s focus in optimizing their gas and diesel engines to help reduce CO2 emissions, spoke about the first Audi race car with a hybrid engine, and was clear that their goal for 2012 will be to “achieve stronger growth than the market as a whole.” It’s widely speculated that the automotive industry will experience a 4-percent increase in car sales this year, but Audi wants to best that average. It will continue to target the Chinese market with hopes to achieve double-digit growth yet again. The German automaker plans to nearly double their dealer network in China by the end of 2013. The Q3 will also be introduced to China and a new generation of the popular A6L (long version) will be launched before 2012 ends.